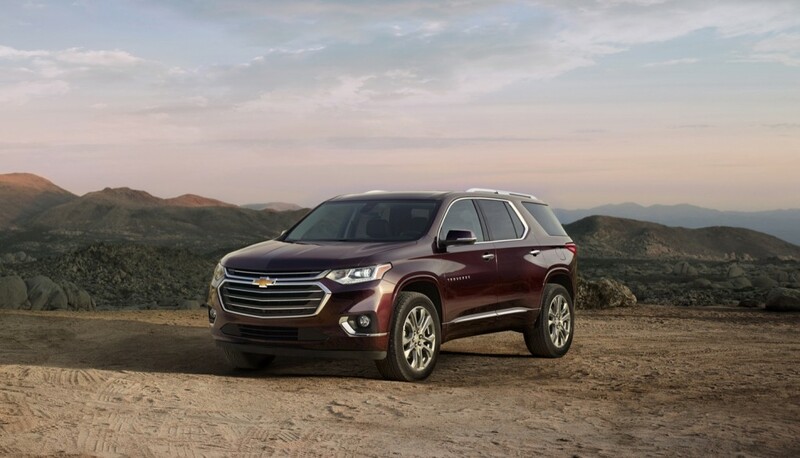 The Chevrolet Traverse finally received the attention it deserves with the second-generation, 2018 Chevrolet Traverse. 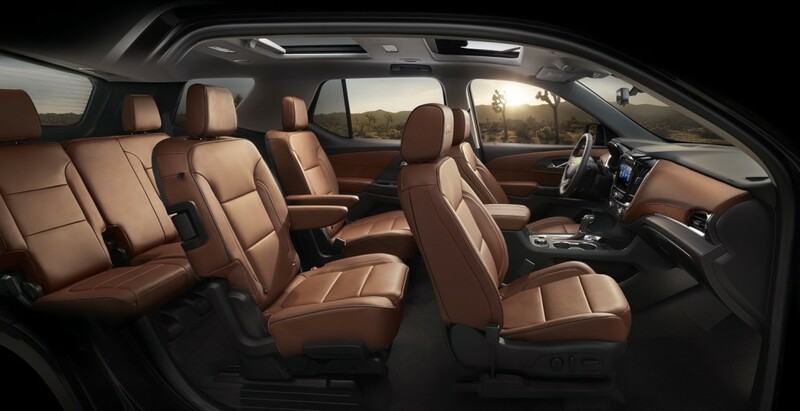 Revealed at the 2017 North American International Auto Show, the 2018 Traverse aims to capture a larger scope of crossover and utility buyers with more SUV-like looks and new trim options to expand further segment consumers. I spent some time with the 2018 Traverse to see if this second-generation of crossover is enough to build upon the success found in the outgoing Traverse. Foremost, despite being a little underwhelming, the 2018 Traverse is most certainly an improvement regarding the exterior design. It’s evident Chevrolet tried very hard to capture the looks of the Tahoe with this redesign, as the 2018 Traverse takes a truckier profile with elements inspired from the 2018 Equinox. In person, it’s not striking, but the overall profile gives the Traverse more presence than the outgoing crossover ever had. Stepping inside, the driving position is properly up high with decent visibility. Materials were quite nice in a mid-level trim, mixing soft touch and harder plastics. The piano black plastic surrounding the infotainment screen is begging for fingerprints, however. I certainly appreciated oodles of pocket storage found everywhere I looked and the wireless phone charging was front and center, held carefully in a cradle. Scooting into the second row, the seating was plenty roomy with no complaints from us. But, it’s the third row Chevrolet is most proud of. The brand is expecting to deliver the segment’s best third-row legroom, and it shows. I certainly didn’t feel cramped or trapped in a penalty box while sitting in the third row. Although, I am only 5’9″, meaning taller passengers may not be as comfortable. 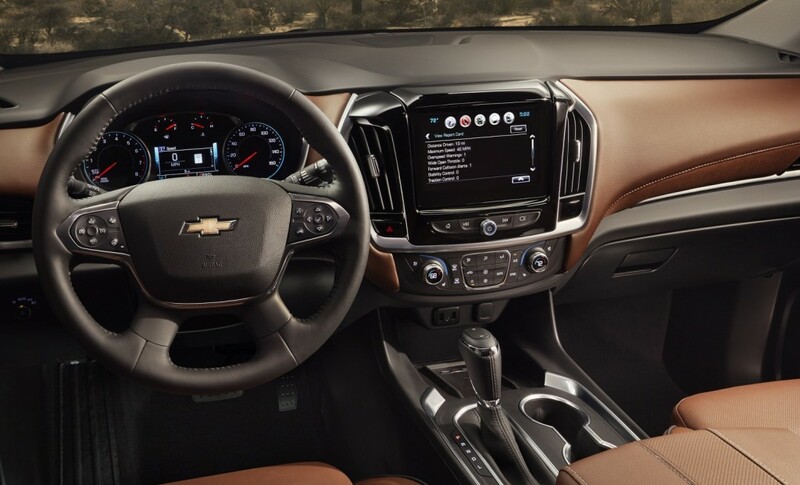 The passway into the third row was also a talking point, as Chevy made a concerted effort to ensure it was large enough for even adult passengers to squeeze by into the third row. Storage with the third row up was a tad disappointing, but opening the floor cover reveals additional space for various items to be brought along during a road trip or even quick runs to the grocery store. After years getting to know the outgoing Traverse, the 2018 Traverse feels a bit underwhelming. But, it’s the details. 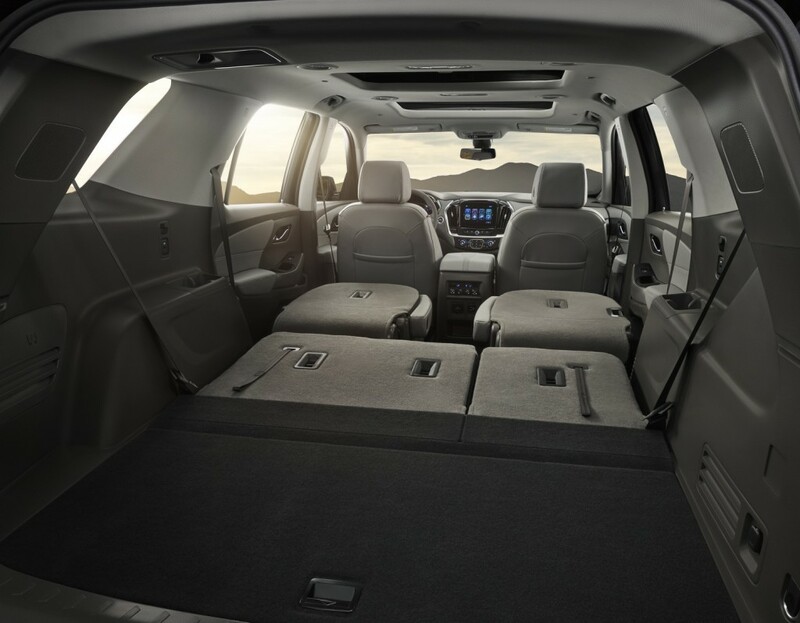 Chevrolet has packaged the Traverse very well, and those looking will certainly appreciate the thought gone into bountiful storage options. Overall, it seems the 2018 Chevrolet Traverse has the keys to success to persuade buyers into a full-size crossover, even if that means foregoing a few Chevrolet Tahoe sales. Two references to underwhelming. Can you elaborate? It’s not clear what’s underwhelming Sean. On the surface it seems quite good. Sure thing. I think it’s a tad underwhelming just due to the fact this product has been a long time coming, yet there’s nothing incredibly revolutionary about it. It’s par for the segment, which isn’t a bad thing, but nothing really stands out right away. Sean, Chevrolet has never been the revolutionary and set the bar brand. If they did it with Chevy, they would be stepping on the GMC and Buick line up. Example is this Traverse. If it was revolutionary (and price would reflect that), they’d be stepping on the new Enclave’s toes and GMC version that is likely to come. Chevy is GM’s value line and hence it’s value packaging and presentation. Overall, I really like this Traverse. Get use to underwhelming as once you start to get the product to about where it needs to be you will not get the big bang changed much anymore. Most cars on the market that are right generally just keep refining what works and major changes are only left if they are in trouble. To be this is a good sign they just took a good product and worked to make it better. I don’t see anything underwhelming about the new Traverse. Looks good to me. I’m happy about this, I can’t wait to see one in person. Anyone know if it’s headed to philly? I currently own a 14 Silverado Ltz bought it CPO love the truck. My wife and I are soon to be in the market for a compliment to the truck. She likes the current traverse, but I’m not a fan of the minivan looks. I think we’ll will agree on the new one. As for biting into Tahoe sales I think they are priced way too high for us to even consider one. Are they planning an Acadia XL? New Acadia is too small and new Traverse is disappointing looking. They should have taken the Tahoe/Silverado front instead of it looking like an Equinox. And why is the word Traverse so high up on the door? I’m not wild about the styling, it looks like the offspring of a one-nighter between the Tahoe and a Ford Explorer. Fingers crossed that the Enclave looks less like a truck. When will the Enclave launch? I am going to hold out to see what that is before deciding on next car. Mid April at NYC Int’l Auto Show!